To deliver the highest quality of care, we need a team with a wide variety of ethnic, cultural, and experiential backgrounds. That's why we're actively recruiting learners, faculty members and staff from underrepresented minority groups, to help us improve health outcomes for all members of the diverse community we serve. We have a responsibility to every patient who walks through our doors, regardless of race, socioeconomic status, language spoken, or other life experience that might differ from our own. An organizational culture rich in diverse experiences helps us provide compassionate, cross-cultural care as we lead the effort to eliminate health inequities across the globe. Create a culture and climate of equity and inclusion, where diversity is nurtured, valued, and celebrated. Recruit, develop, and retain a diverse workforce, at all levels. Recruit, develop, support, and engage diverse learners. I don't go to work thinking, 'This is where my ceiling is.' I come up with ideas knowing that somebody's going to actually hear them, and who I am or what I look like is not going to stand in the way of that. And that is a really important thing for residents and medical students to see. The Organizational Equity and Inclusion team defines and measures the equity, diversity, and inclusion programs within the School of Medicine. This executive committee works with our Office of Faculty Affairs & Development and Multicultural Medical Student Affairs to ensure we're making good on our commitments to continuous recruitment and retention, cultivating a climate of inclusion, and offering engagement and development programs that positively impact the Emory School of Medicine community. 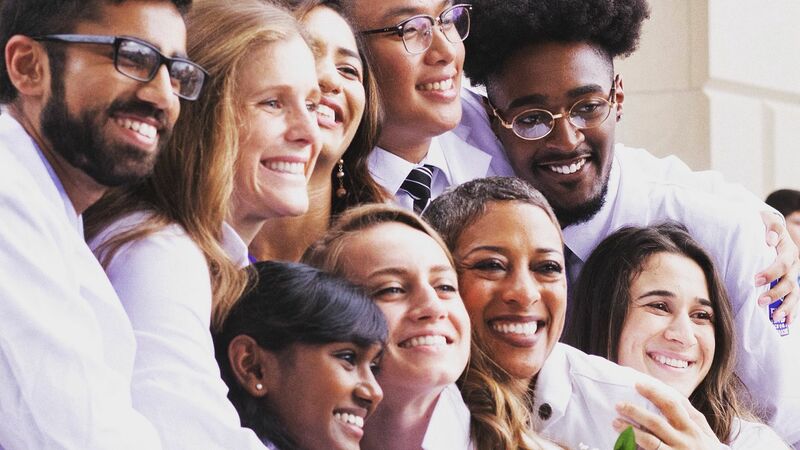 Eight-week residential program for underrepresented undergraduate and graduate students interested in applying to medical school. Weekend event during which underrepresented minority students accepted to the School of Medicine return to campus to meet with faculty and students and learn more about us.